For over 25 years, we've watched our industry change and our clients grow. We're honored to have been there every step of the way, learning and growing with them. The times are changing, and we're better for it. Innovation keeps us sharp, and experience makes us effective. In an age when every idea is tested, our core values continue to prove invaluable to our clients and ourselves. We're not a means-to-an-end, and neither are you. At BPA, our clients are more than partners. They're family. Whether we've worked together for a decade or a day, you have our care and attention. This is as true for our leadership as it is for our staff. We are all invested in you and your success. AND is better than OR. You shouldn't have to sacrifice good design for a well executed project, or vice versa. At BPA, we believe that decades of experience and fresh ideas are better paired together than on their own. The union of expertise and creativity continues to best serve the vision and needs of our clients. Good design is for everybody. Design should have an impact. It should improve the lives of the owner, the user, and the passerby. At BPA, we believe good design should be available for every project type and every project budget. 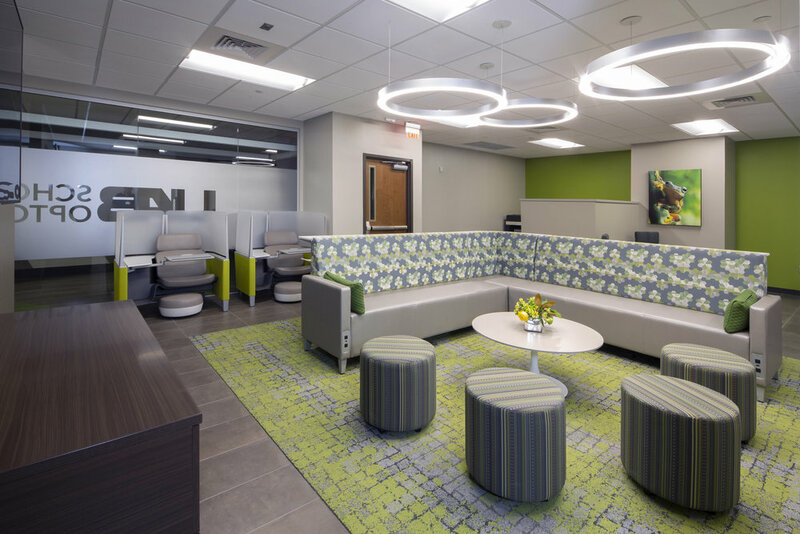 From highly visible hospitals to inner-city outreach centers, we work hard to ensure that your project has a lasting effect on everyone that encounters it. Where innovative German automobiles meet innovative work environments. 80,000 SF of office renovations fitting to represent the Mercedes-Benz brand. The Henry B. Peters Building is a sight to behold. Revamped space facilitating a renewed vision for advancements in clinical practice and groundbreaking discoveries in vision science. There is nothing plain about the updates to the conference center in the Loveliest Village on the Plains. The Auburn Hotel is impossible to miss along South College Street and is a landmark in Auburn’s quaint downtown.